Size: 44 x 59 cms. 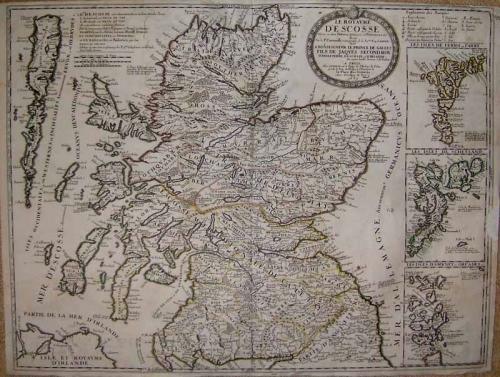 A rare French map of Scotland by Jean Baptiste Nolin (senior) after Coronelli. This map is highly decorative with three inset maps of the surrounding islands. The condition is good with a repair to the centerfold and an infill to a missing area in the right margin. This map is seldom seen on the market and the price reflects these faults.